We headed to The Old Marron Farm and Bird Park this week for some food, feather and fur therapy. It's not often we have a few quiet days at the Haven, so we made the most of it. After a delicious lunch of grilled Marron and Marron Pizza, we were given some food to feed the birds. 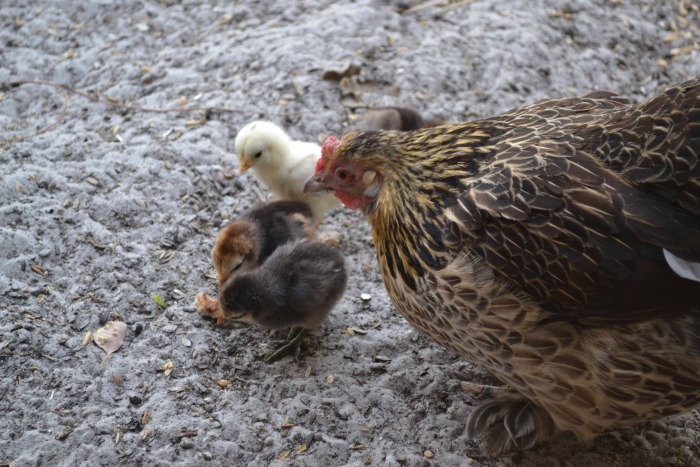 We came to the huge bird aviary and saw this mother hen with her 4 chicks. I gave her a piece of bread which she dropped on the ground and immediately the babies started pecking at it. she then picked it up (I thought she was going to eat it) and broke it into tiny pieces for the her babies to eat. She kept calling her babies and showing them where there were still some crumbs. This was so awesome to watch, and brought tears to our eyes to witness a mother hen taking such great care of her babies, making sure they had enough food and not eating any of it herself. It brings back some perspective to life to watch nature at work.